BetaView manufactures and installs hand-made aluminium windows and doors designed to improve lifestyle and comfort. The company was founded in 1986 and is accredited by the Master Builder’s Association, AWA and HIA. Investments in additional tooling, staff development and marketing have enabled BetaView to offer a complete product range covering residential, architectural and commercial applications. The team at BetaView aims to deliver professional advice and expert workmanship. We like to give a little back and this year we have sponsored the Oz Tandem cycling team, made up of Mick Curran and Matt Formston. 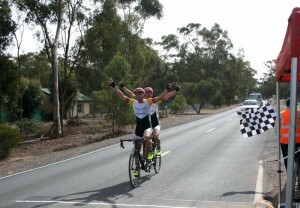 They are the current Australian National Champions for the Tandem Time Trial and the Tandem Road Race. Matt is an important part of what makes this team so unique: he was diagnosed with Macular Dystrophy as a child and now retains only 5% of his vision, making him legally blind. They are champions at both national and international level. The ultimate goal for Oz Tandem is to compete in the 2016 Paralympics in Rio. BetaView are honoured to be able to assist in this journey.